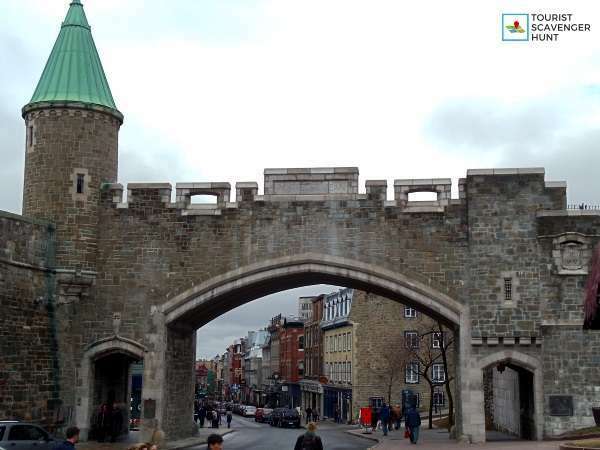 Are you planning a visit to Quebec City? 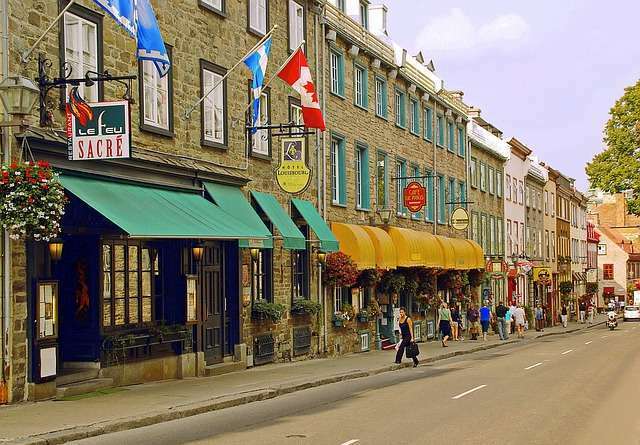 Walking the streets of Old Quebec City is a must! 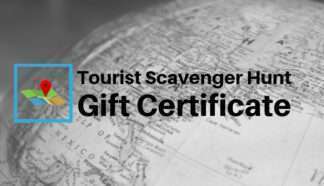 Our Tourist Scavenger Hunt takes you from the Chateau Frontenac to the Civilization Museum, up Parliament Hill and every attraction in between them. You will have to solve challenges at every step to discover your next destination. 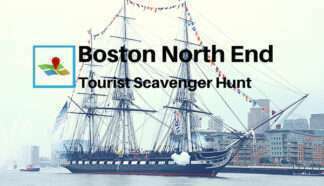 As well, you will learn a little history and other interesting facts such as the best restaurants along the way. 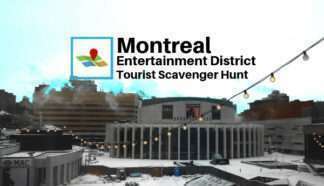 We have visited Quebec many times over the years and tested this scavenger hunt in June 2018. Moreover, pen and paper could also be useful for some challenges, unless you can take notes on another smartphone. Quebec City, on the St. Lawrence River, was founded in 1608 by Samuel de Champlain. The old city is fortified by ramparts and many doors to protect its citizens. 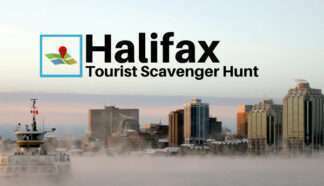 It is one of the oldest cities in North America. 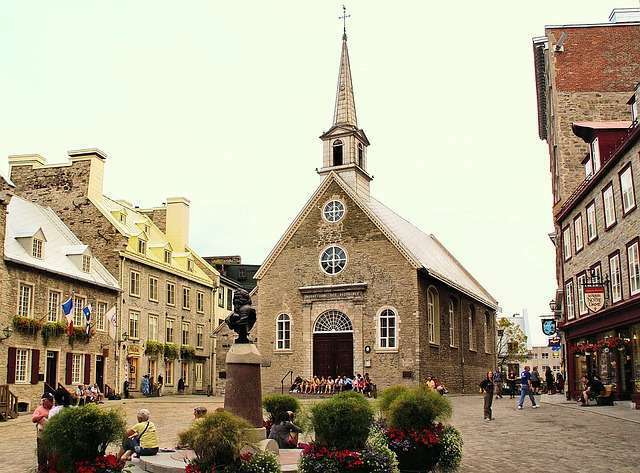 Quebec City is the Capital of the province of Quebec, the only French-speaking province in Canada. It has a population of over 800,000 in its metropolitan community. 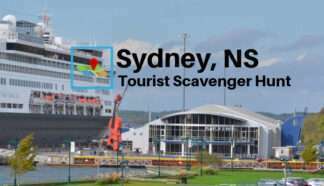 Previously, it has been the capital of New France, Lower Canada and, for a short time, United-Canada. 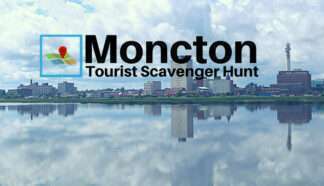 Its name comes from the Algonquin word, Kebec, meaning “where the river narrows”. Earlier, Jacques Cartier met an Iroquois settlement on this site when he discovered it officially for François 1st, King of France, in 1535. Their village was called Stadacone. During his third trip in 1541, his men discovered small white stones they believe to be diamond, on the current Cap-aux-Diamants. This is where Parliament Hill and Old Quebec stand. However, it was only quartz. It is only 60 years later that Samuel de Champlain launched the colonization of Quebec and Quebec City itself. 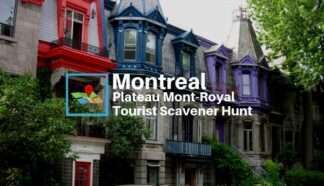 The Quebec City Tourist Scavenger Hunt is now available! The French occupied New France until 1759 when the siege of Quebec, then the Battle of the Plains of Abraham handed the capital over to the British troops. 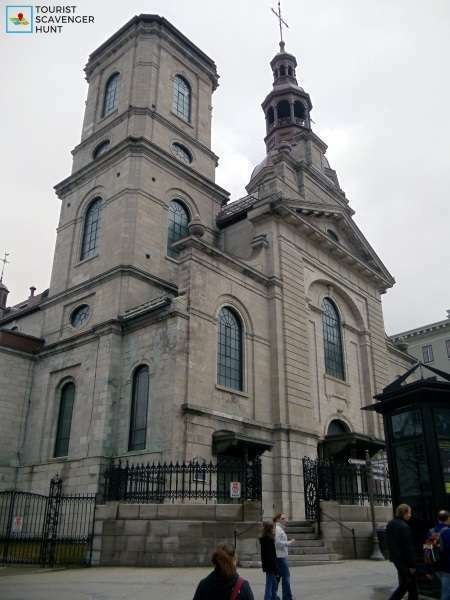 Quebec City was later attacked by Americans in 1775, just before the American Revolution, in which some “loyalist” Canadians took part in support of the British. Quebec shared with Toronto the title of capital of United Canada from 1859 to 1865 before transferring definitively to Ottawa. In 1864, the “Quebec Conference” was held here where the Canadian confederation was discussed and prepared. It is finalized in 1867. 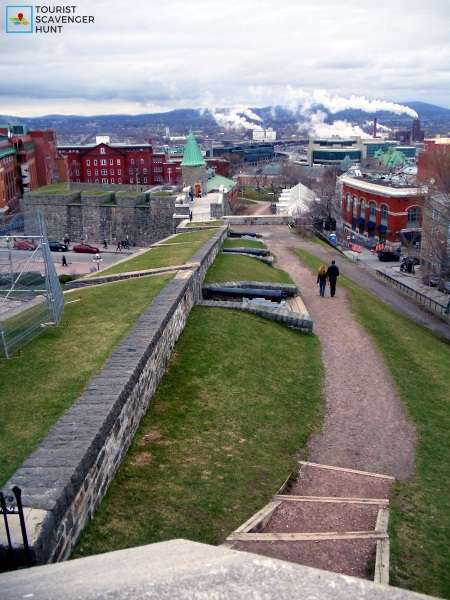 The current condition of the fortifications is largely due to Lord Dufferin, Governor General of Canada. 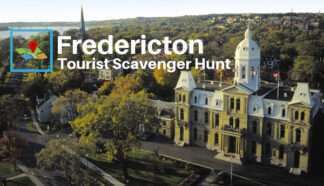 By 1872 he wanted Quebec to attract tourists from Europe. He, therefore, ordered the preservation and reconstruction of the city’s fortifications, not for its defense, but for its embellishment. Because of its position, Quebec hosted an average of 30,000 immigrants annually from 1830 onward. The Quebec Bridge finally linked Quebec City to Levis on the south shore in 1917, making it easier to cross, and to travel by train to other destinations.